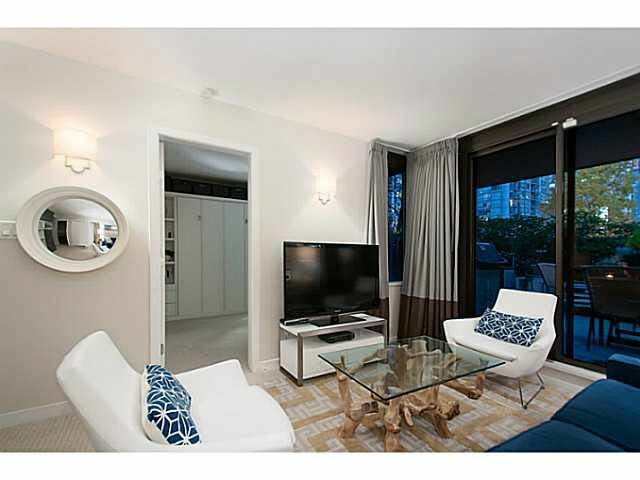 LUXURIOUS TWO BEDROOM plus OFFICE with FANTASTIC OUTDOOR SPACE, UNIQUE IN DOWNTOWN VANCOUVER. Features SLEEK MODERN KITCHEN, Separated Bedrooms, Custom Built In Murphy Bed, Easy Access to Patio & Common Yard...PERFECT FOR PET OWNERS!... with Immediate Access to Outdoor Areas! Office has Thick Glass Door for Extra Light. THE LIONS TOWERS are situated on the Coal Harbour/West End Boundary with Convenient Access to The Seawall, Bike Paths, The Marina and Stanley Park. Concierge, Fully Equipped Gym, Media Room, Recreation Room with Pool Tables and Private Guest Suites. Close to Shopping, Restaurants and Transit. One Parking and Large Separate Locker Included. Must be Seen to be Appreciated! OPEN HOUSE NOV 30, Sunday from 1-3.